The Brentwood Small Chest of Drawers is handcrafted of your selected American hardwood then hand-rubbed with stain to ensure an even, deep coloring. A lovely addition to any Shaker or traditional bedroom, our Brentwood Small Chest is crafted from the finest American hardwoods. Full extension, soft close drawers provide ease of access to and controlled closure of your Brentwood Chest drawers. Additionally, for the durability and longevity of your chest drawers, each is assembled using time-tested dovetailed joinery methods. Indicate your preferred wood and stain for the Brentwood Small Chest of Drawers using the options menu. 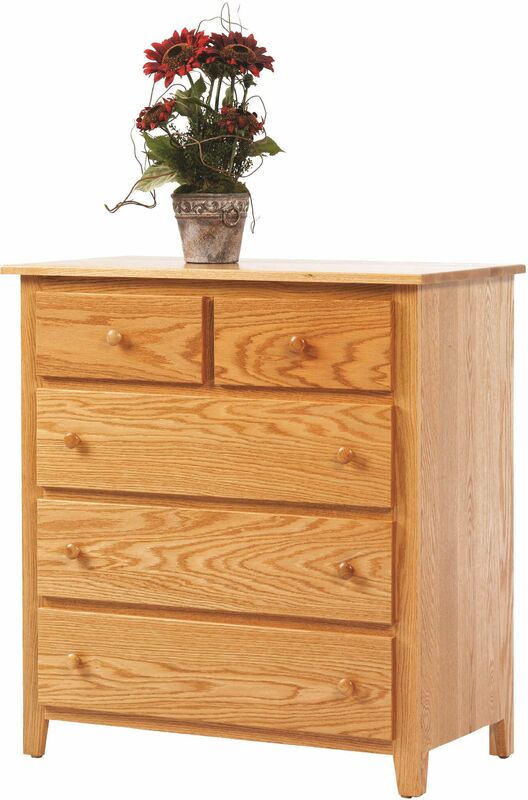 To obtain the pictured look, choose Oak with our Sanibel finish selection.